DUE TO PROBLEMS WITH THE HOST OF OUR DOT COM SITE WE ARE REDIRECTING TO HERE AT OUR DOT NET SITE, WE ARE THE SAME COMPANY, SAME PEOPLE . WE ARE A SMALL FAMILY BASED BUSINESS LOCATED IN THE SIERRA MOUNTAINS OF CALIFORNIA. 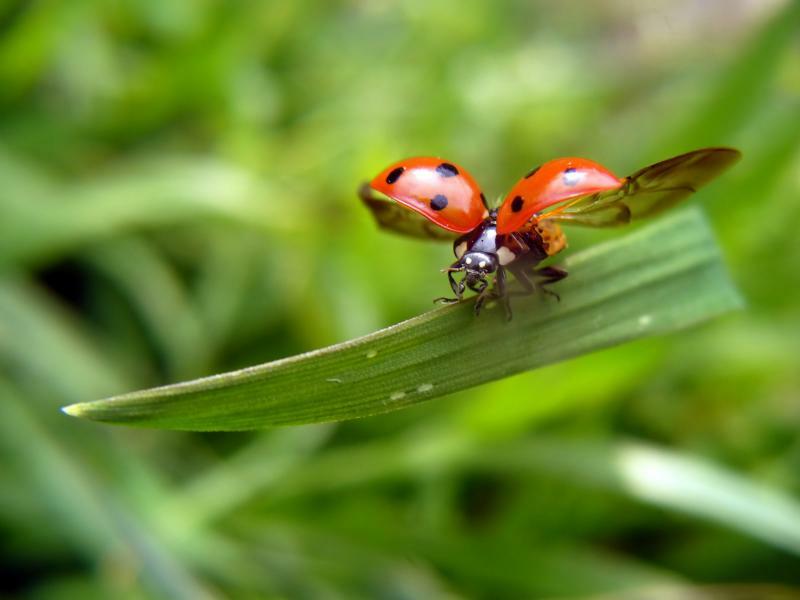 WHILE MOST OTHER LADYBUG SELLERS PURCHASE THEIR BEETLES IN BULK FOR RESALE OR HAVE THEM DROPSHIPPED, WE HARVEST OUR OWN LADYBUGS FROM OUR OWN PRIVATE PROPERTY TWICE WEEKLY MAKING OURS THE FRESHEST BEETLES AVAILABLE. LADYBUGS ARE SHIPPED ON MONDAY, WEDNESDAYS AND FRIDAYS. ORDERS SHIP WITHIN 24 HOURS OR ON THE NEXT SHIPPING DAY. UNLESS OTHER ARRANGEMENTS ARE MADE PRIOR TO PURCHASE, WE ONLY SHIP TO THE ADDRESS PROVIDED BY PAY PAL, IT IS YOUR RESPONSIBILITY TO BE SURE THAT YOUR INFORMATION IS KEPT UP TO DATE. DURING THE SUMMER MONTHS, DUE TO EXTEME HEAT,SOMEONE SHOULD BE AVAILABLE TO RECEIVE THE LADYBUGS UPON DELIVERY, IF THEY ARE LEFT IN A CLOSED MAILBOX OR IN DIRECT SUNLIGHT ON A HOT DAY, THEY WILL GET OVERHEATED AND DIE. WE WILL NOT BE RESPONSIBLE FOR ANY DEAD BUGS THAT WERE LEFT IN A MAILBOX OR OTHER PLACE WHERE THEY MAY BE EXPOSED TO HIGH TEMPERATURES. 2019 praying mantis egg cases are now in stock.